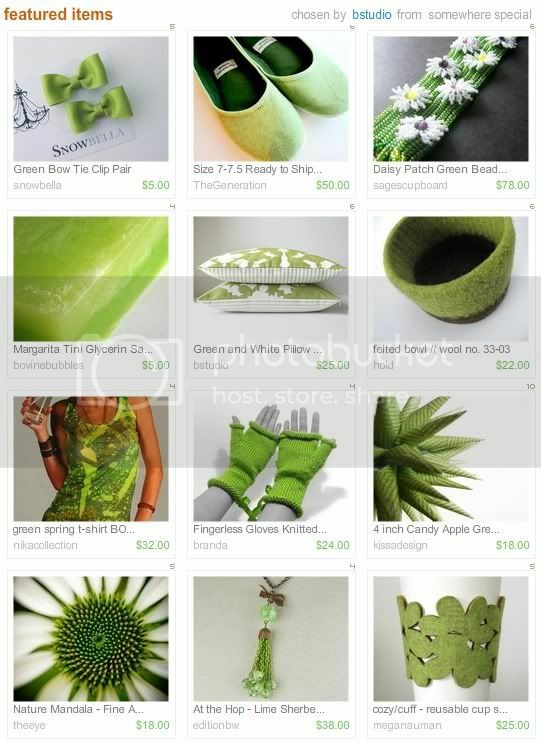 And finally, Lemon Lime features Oh Canada Team members Leanne Designs and Arly. Want to see more? Whatever your tastes, chances are the Oh Canada Team has something for you! 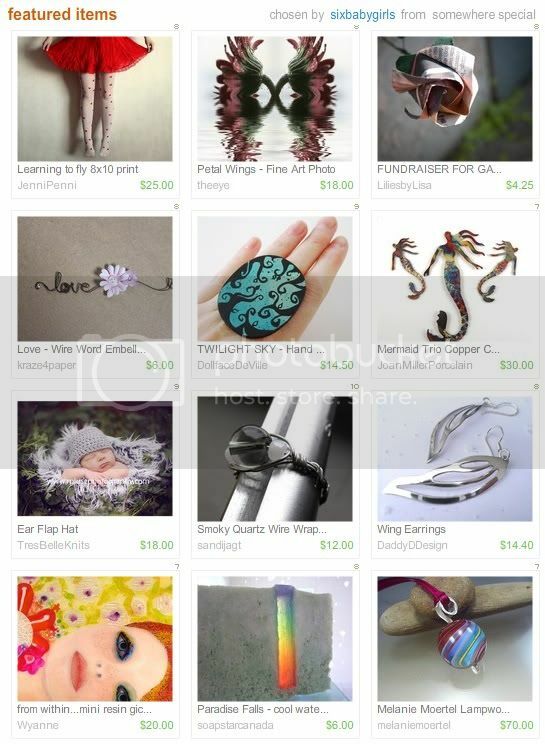 Include the phrase "OhCanadaTeam" in your searches on Etsy.com to see what our talented artists are making. 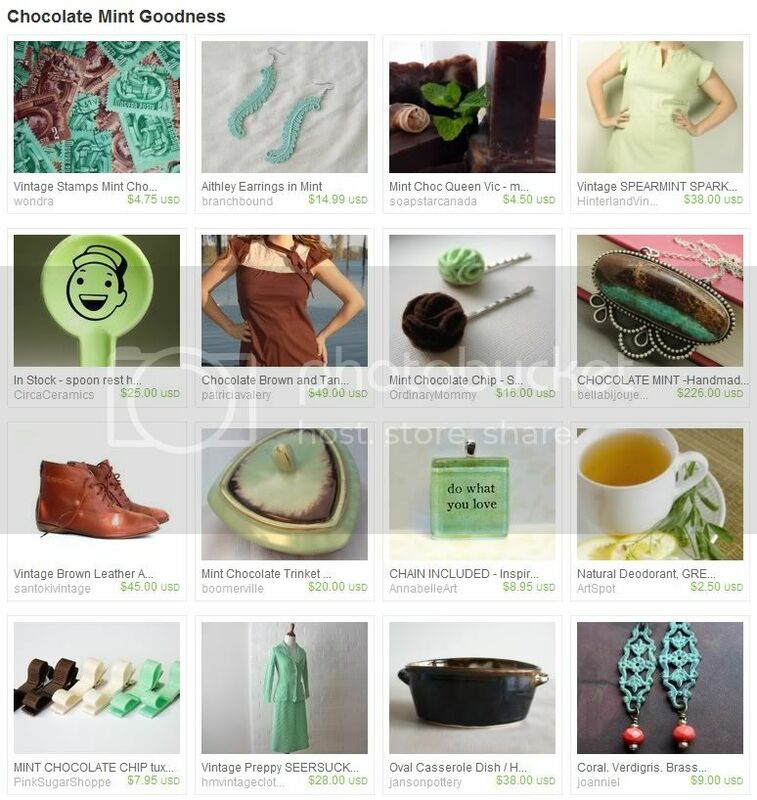 You can also visit any of the shops seen here by typing their names into the search area of the Sellers Page. Hooray for barbeque season! Is there anything more enjoyable than getting together with the family or the gang to enjoy grilled treats, patio fare and good company? One of the things that makes the barbeque party so memorable are the interesting drinks. Whether you serve elaborate blended cocktails, or cans of cold beer with quirky sleeves, summertime beverages should always have a little personality. 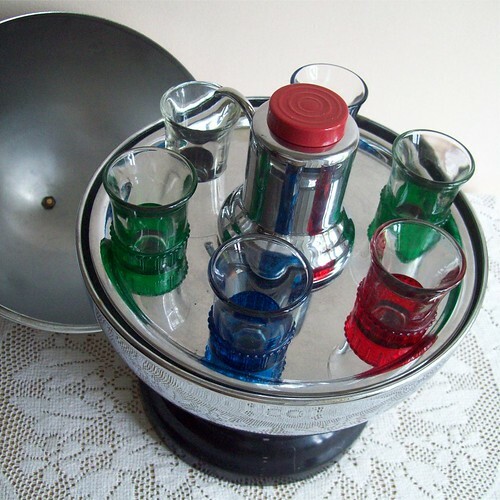 This vintage shot glass set is a great conversation piece for any party - indoors or out. It’s perfect for both sports themed décor and the vintage collector. 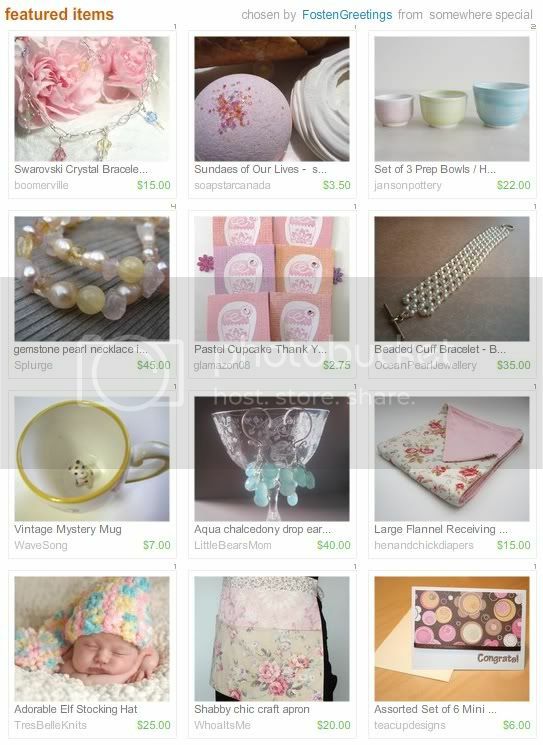 To see more great vintage barware, clothing, toys and more, visit Collectique! 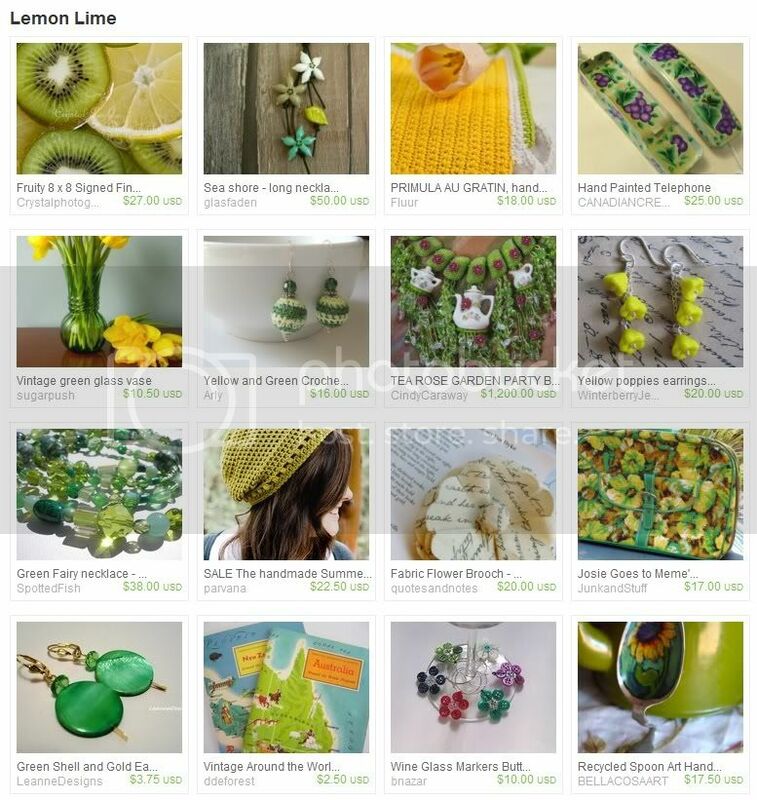 Get ready for summer with handmade and vintage treasures. Whatever your tastes, chances are the Oh Canada Team has something for you! 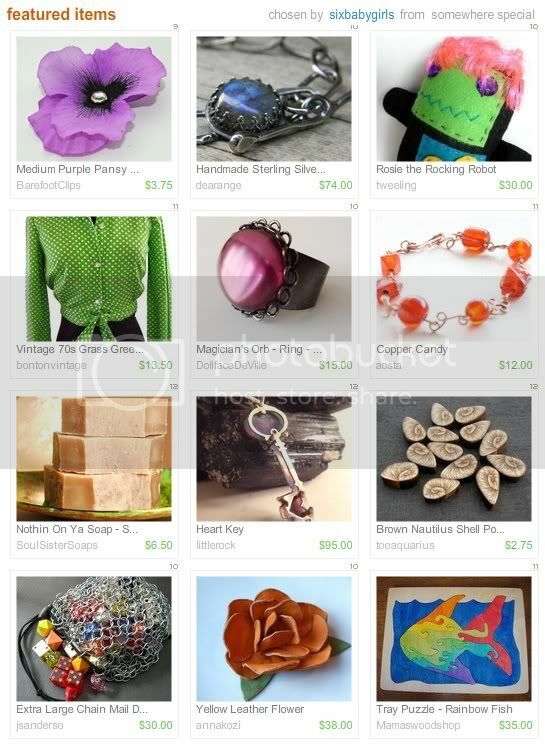 Include the phrase "OhCanadaTeam" in your searches on Etsy.com to see what our members can offer. Colors have an amazing ability to spark our emotions. Some are exciting, others are calming. Some colors can makes us smile. Come on a colorful tour with the Oh Canada team, and see what color can do for your mood! Canadian Gems by Fosten Greetings is all about cool pastels. If Wishes Were Rainbows by sixbabygirls puts a rainbow of bold colors on parade. FAAABULOUS by Annabelle's Art packs a citrus punch with lime and orange. 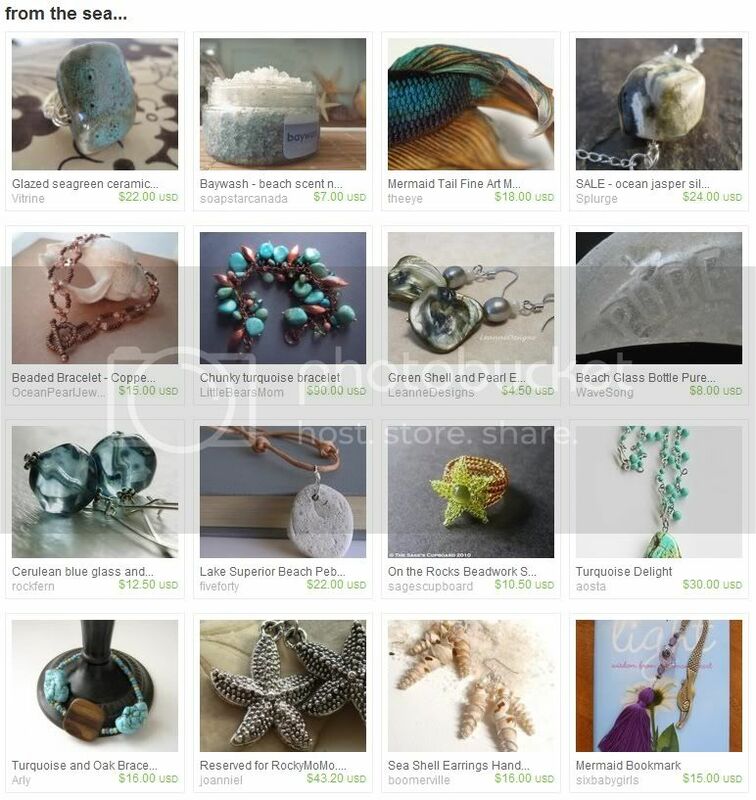 From the Sea by soapstar captures the deep, rich tones of the ocean. 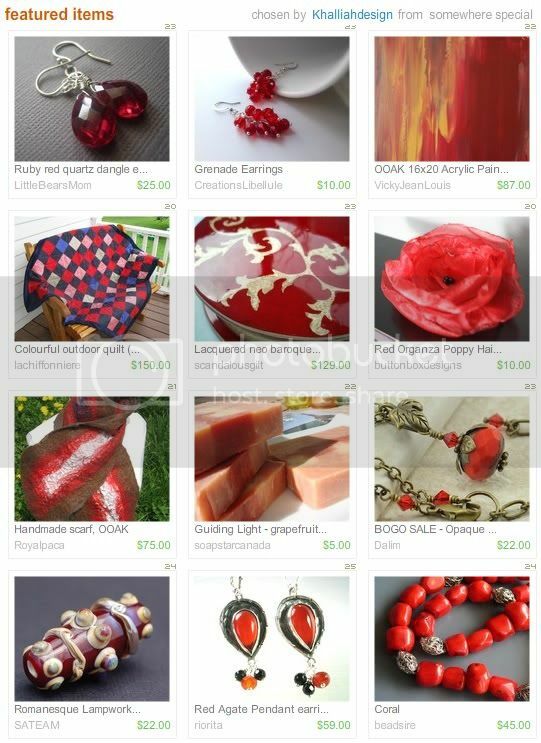 Kiss Me Red by The Sage's Cupboard is full of fierce crimson. The talented artists of the Oh Canada Team can help you with all of your color cravings. 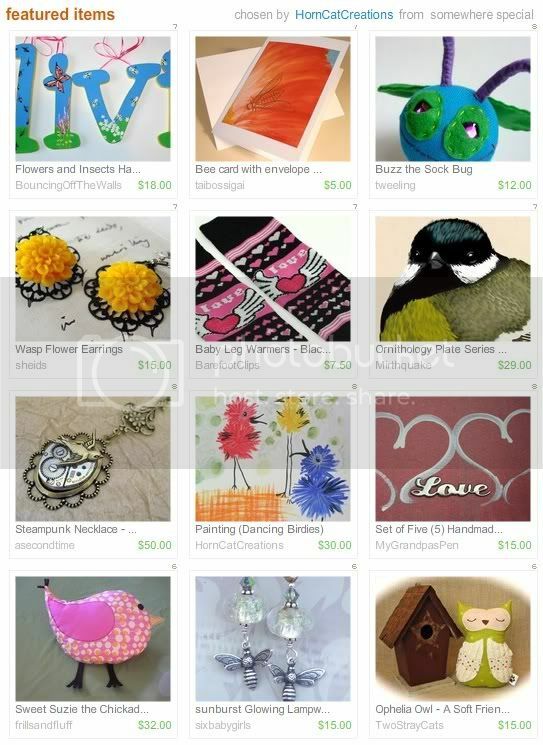 Include the phrase "OhCanadaTeam" in your searches on Etsy.com to see what our talented artists are making. 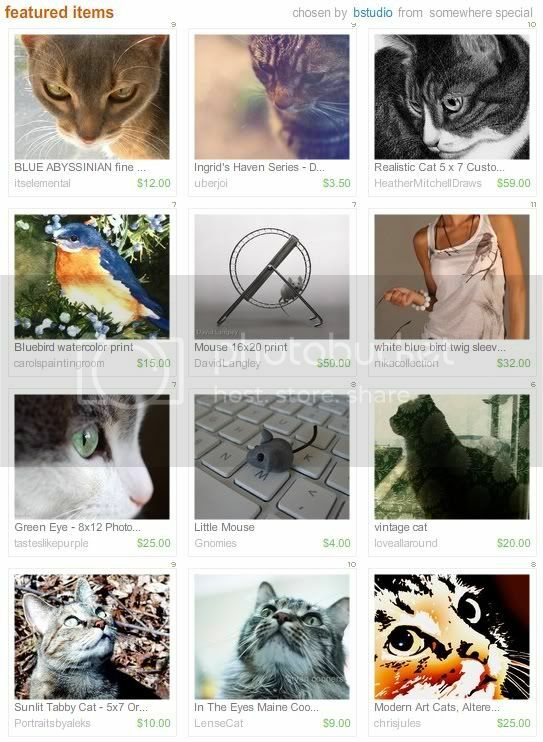 You can also visit any of the shops seen here by typing in their names in the search area of the Sellers Page. 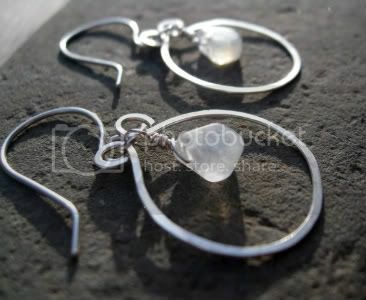 It’s hard to resist an expertly made pair of earrings, or a beautiful handmade necklace. There are so many options when it comes to finding just the right jewelry for yourself or someone special. What makes an artist stand out is their attention to detail and choice of quality materials. 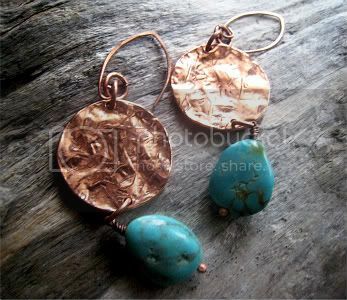 Molly of Little Bear’s Mom creates some absolutely stunning jewelry using stones and metals in beautiful colors. With a variety of styles and techniques to choose from, a visit to her shop is like a walk through a candy store. Oh Canada has put Little Bear’s Mom in the spotlight. 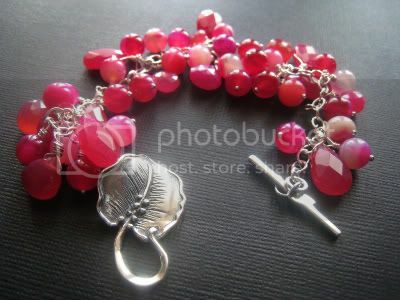 Little Bear’s Mom: My charm bracelets are my favorite to both make, and wear. They're sometimes more time-consuming, but I just love creating a pattern and seeing it come together. 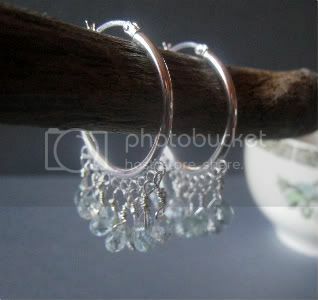 Little Bear’s Mom: Back in the 90's, when beading started to become popular where I grew up, I took a course at a local store. The rest has been trial and error, due to my penchant for experimentation. Little Bear’s Mom: I've always been creative, and I've done both performance and visual arts all my life. 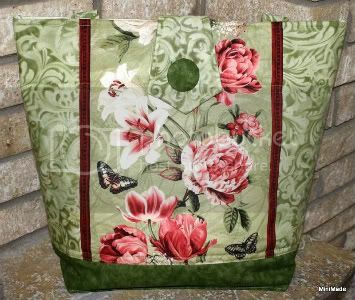 When I was a child my grandmas taught me to sew and do other types of handiwork, and my mom (who is an artist) would come up with exciting crafting and art projects for me to do. Now that I'm an adult, I often have more than one project on the go, and my house is full of all sorts of unfinished odds and ends - I'm very bad on the follow through. I have a number of unfinished baby blankets, and the babies they were intended for are 5, 6, 7 years old now! 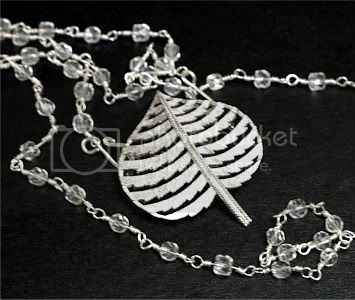 Jewelry making is the one thing that I seem to be able to see through effectively, from start to finish, because it doesn't necessarily take that long to make a piece, and it doesn't require a huge amount of space. I find that I need to have some sort of creative outlet to keep me calm and to balance out the more serious side of my life. Little Bear’s Mom: Now that I've really seen the extent of what can be done with beadweaving, I'm not only impressed, but also intrigued. But I'm not sure if I have the required patience! And I would also love to learn more about pottery. Little Bear’s Mom: I've recently begun adding some simple pendant necklaces to my shop. 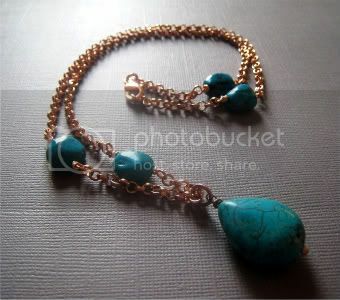 I had also hoped to start making anklets this spring, but have not yet gotten around to it. Little Bear’s Mom: I love that a lot of the aspects of running a business are taken care of for you. Yes, I do know how to code and I've designed simple web sites before, but it's just so much easier to slot my items into an already-existing platform. It's also great to be part of something that has such name recognition and is relatively well established. Little Bear’s Mom: Well, a general tip would be to avail yourself of the advice that Etsy provides. Read the Storque, sign up for the newsletter, read in the forums. Most importantly, use all your tags, take nice clear pictures and use all 5 slots, and take your titles and descriptions seriously. But my own personal tip? I cannot tell you how many serious grammatical and spelling errors there are in a number of Etsy shops. I don't mean small typos or mistakes here and there. And I do take into account the seller's location just in case their native language isn't English. But otherwise...come on...this is a business venture. I don't mean to sound like a schoolmarm, but please, take the time to read over what you've written, and run it through a spell/grammar check. Mistakes just don't look professional and can really turn a buyer off. 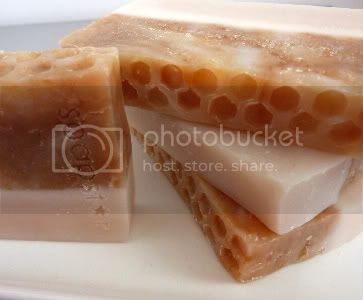 Little Bear’s Mom: Besides supplies for my jewelry making, I think it's a tie between bath and body products (mainly soap), and toys for my son. 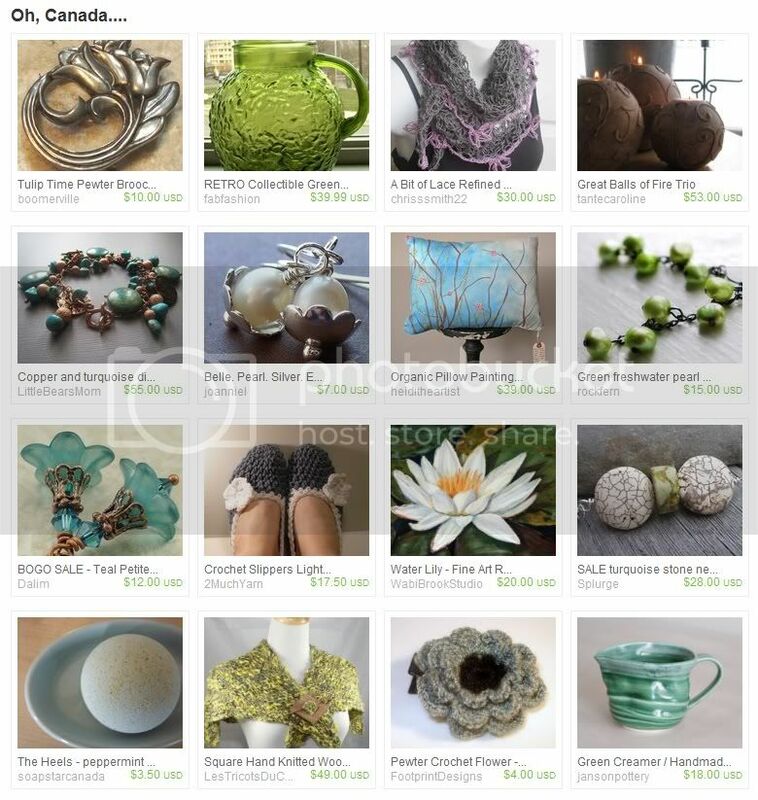 Oh Canada: What is the number one best item (listing) in your shop right now? 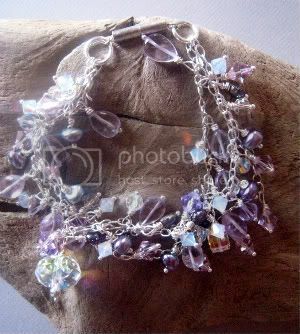 Little Bear’s Mom: My absolutely favorite item in my shop right now is this three-strand lavender and silver bracelet. It took me a few days of planning and deciding on which beads to use, and I'm really pleased with the result. 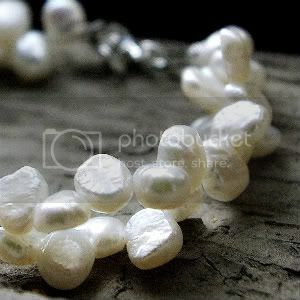 It doesn't have the most hearts-per-item, but it's been featured in more treasuries than anything else in my shop. 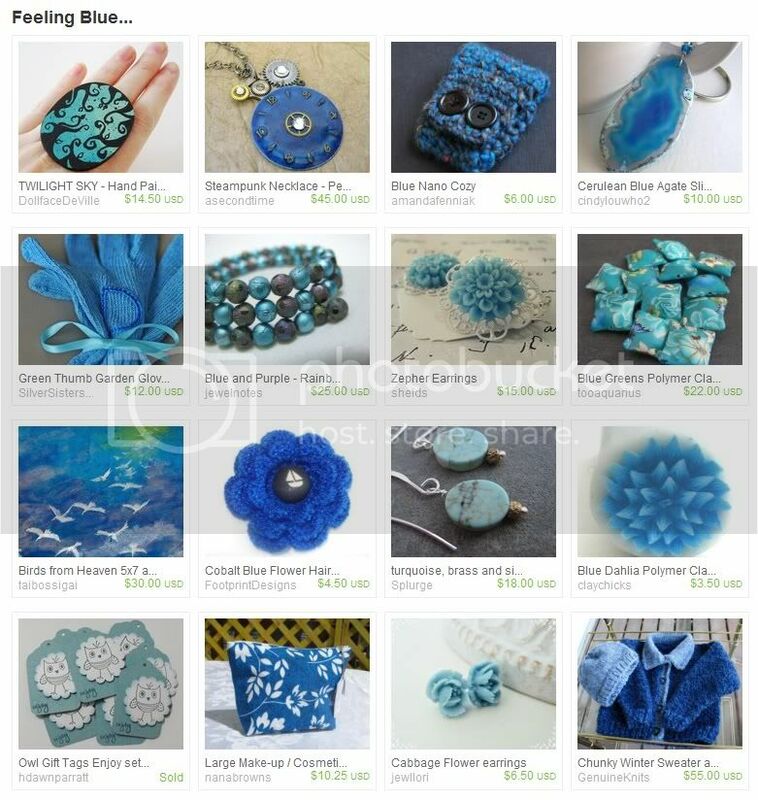 You can see all of Molly’s beautiful creations in her shops on Etsy, Artfire and Zibbet. 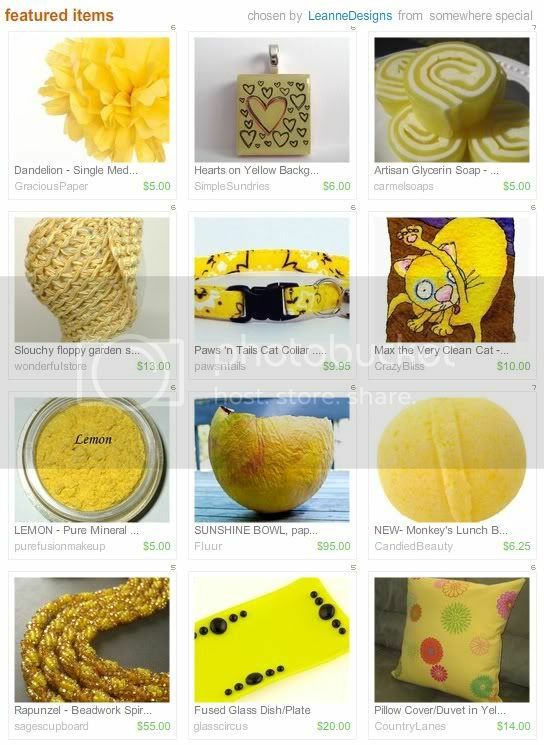 To stay up to date with the latest sales and creations, you can follow Little Bear’s Mom on Twitter and Facebook. 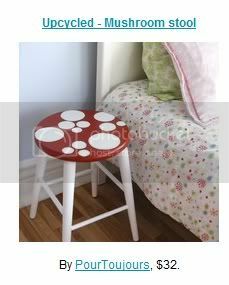 For more insight into her inspirations and designs, check out her blog Little Bear’s Mom. Pow! Simplicity is powerful. This incredible necklace features an explosively pretty pink briolette that is sure to draw attention. 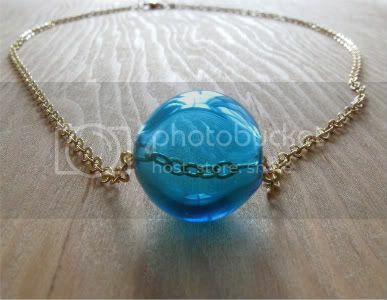 The pendant is suspended with a beautiful sterling silver wrapped bail, on a sterling snake chain necklace. This simple design has a definite bold side, and the brightly colored stone is free to shine. 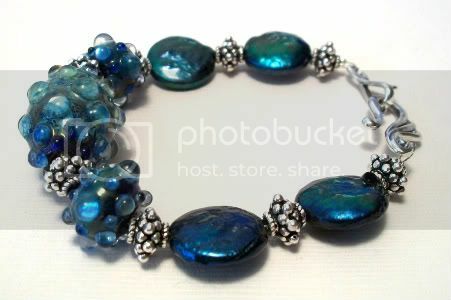 To see more incredibly wearable jewelry designs like this, visit Little Bear's Mom Jewelry. 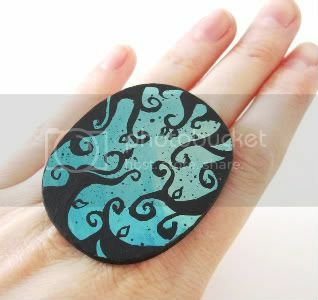 Add the tag OhCanadaTeam to your searches on Etsy.com to see even more unique designs by Canadian artists! May is such a wonderful month. It is sandwiched between the cool beauty of spring, and the hot freedoms of summer. We can pull our capri pants and sandals out of the back of the closet and enjoy a stroll through the park, smelling the flowers; but the full heat of summer isn't quite here to chase us back into the shade. 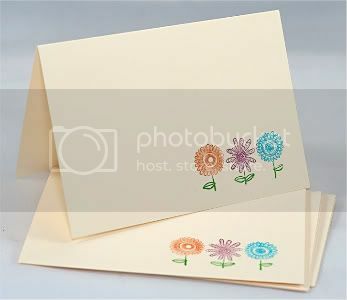 The following collection of treasuries featuring the Oh Canada Team includes some wonderful May themes and more! 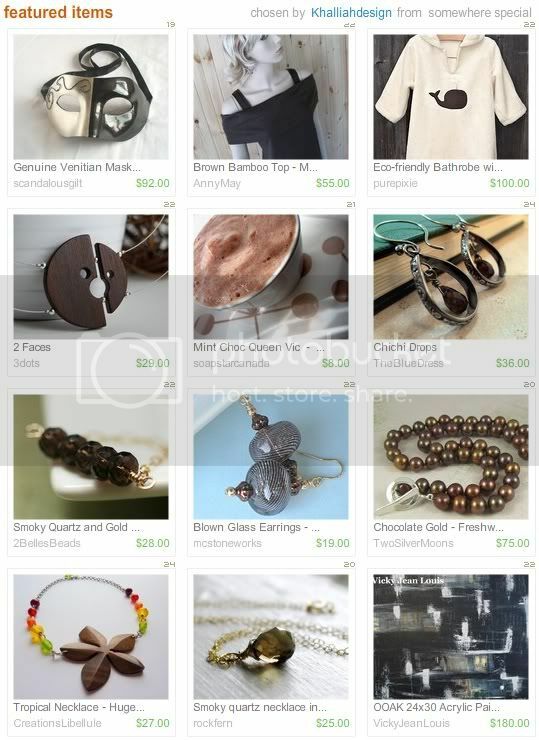 Congratulations to Oh Canada Team member bstudio with a recent feature in Etsy Finds. 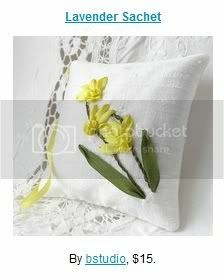 This lovely silk embroidered sachet was chosen for the Show Them the Love Grads and Dads collection. Want to see more? Whatever your tastes, chances are the Oh Canada Team has something for you! 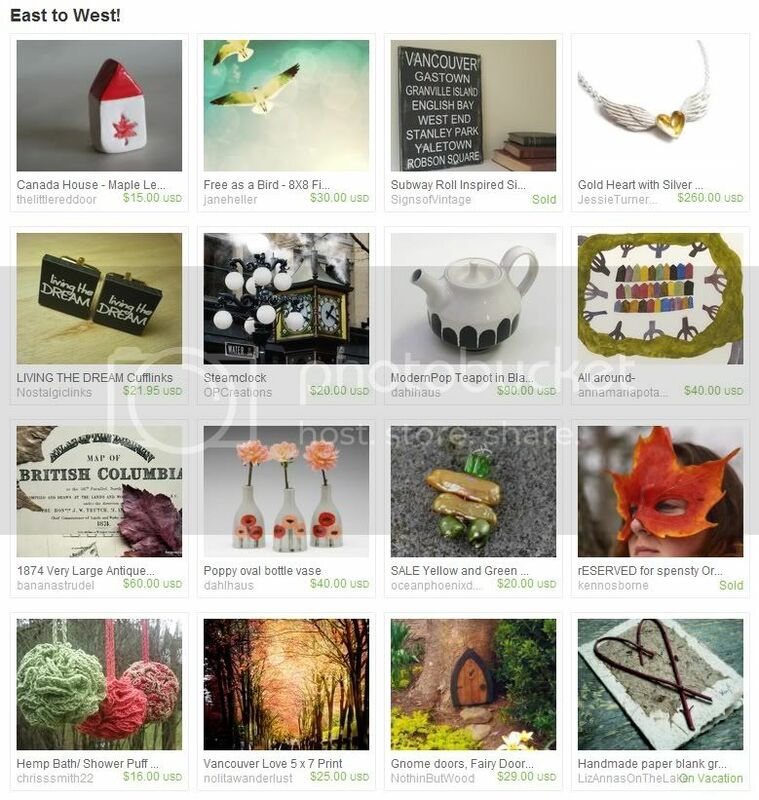 Include the phrase "OhCanadaTeam" in your searches on Etsy.com to see what our talented artists are making. 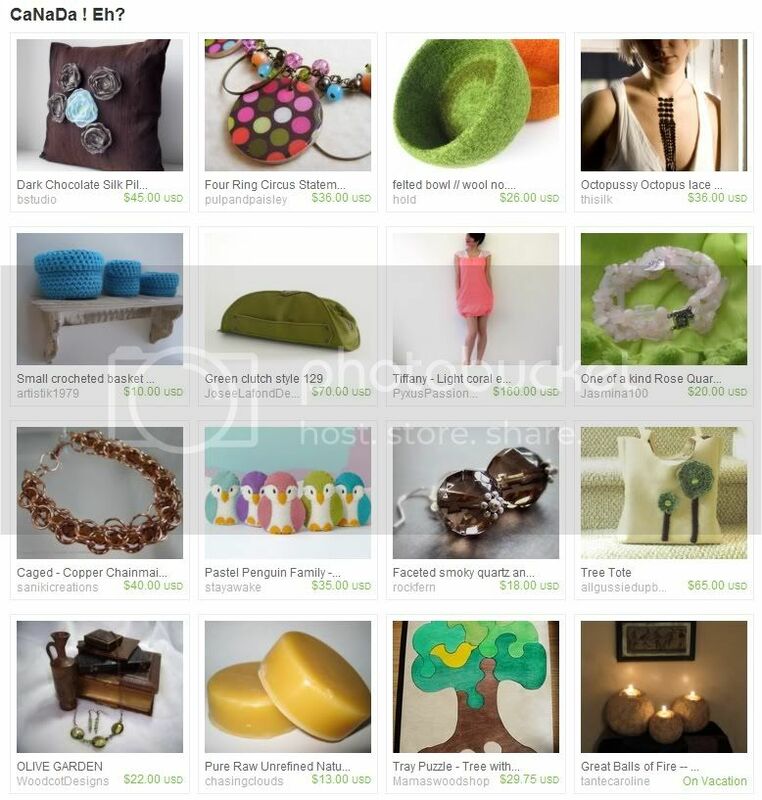 You can also visit any of the shops seen here by typing in their names in the search area of the Sellers Page. The Oh Canada Team Blog needs a spiffy new banner. We need an image that captures the essence of the team: Canadian handmade goodness! So we’re going to invite all of our team members who create to make us a mascot for our blog. 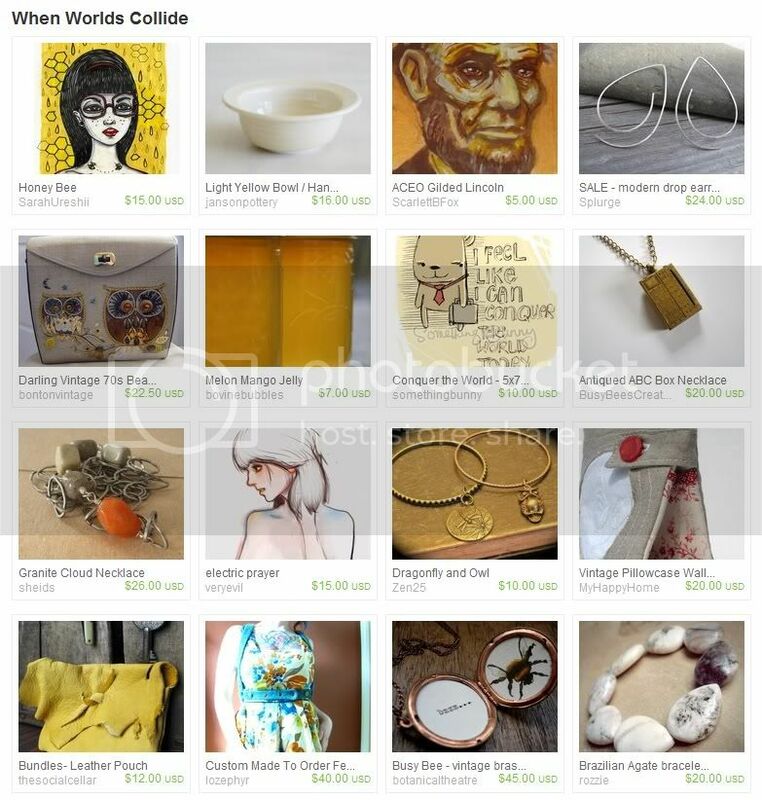 Vintage sellers are welcome to join in, too, with a distinctly Canadian vintage find. 1. Create an item for your shop that features a distinctly Canadian image or pattern. Think beavers, dogwoods, maple leaves, red and white…you get the idea! The deadline for listing your entries is June 15th. You may enter an item that is already in your shop. Voting will take place from June 17th to June 28th. 2. List the item in your shop, and include the tag “OhCanadaTeam BBC”. 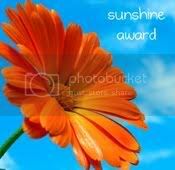 This will allow us to locate your entry for the voting process, and can be removed when the contest closes. In the description, let us know what inspired your Canadian creation. Include a paragraph in your listing about the Oh Canada Team banner contest, with a link to our blog and the voting dates. This can also be removed after the contest closes. 3. 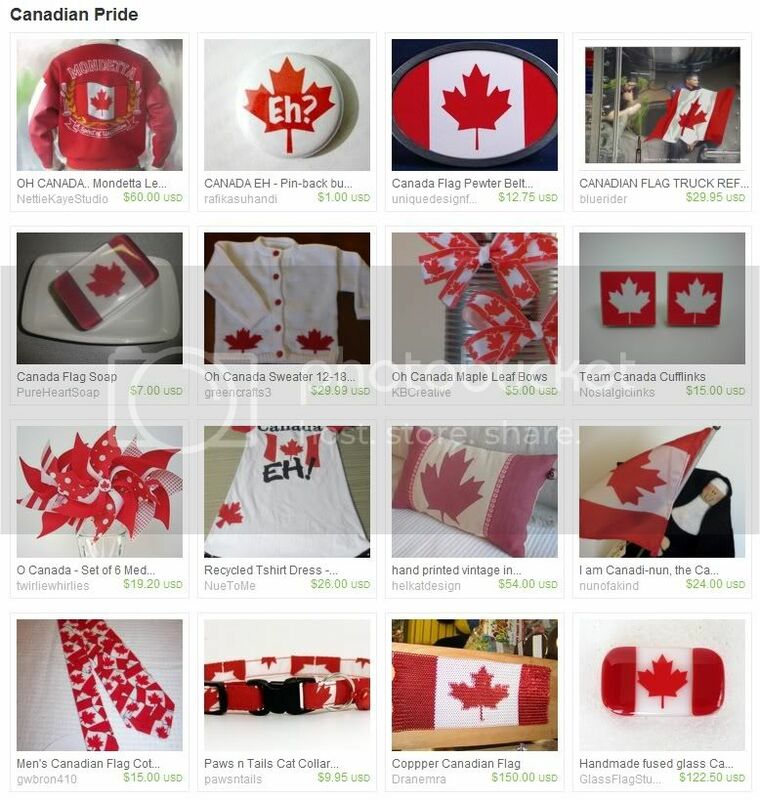 Upload one image of your item to the Oh Canada Team Flickr Group, with the tag “OhCanadaTeam BBC”. 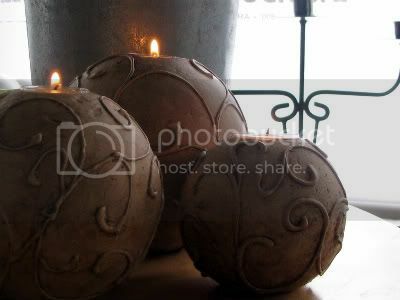 Your main image should have a neutral background - light for light items and dark for dark items. 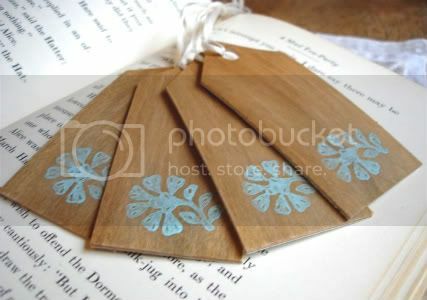 This will help ensure that our blog title will be legible if your item is chosen for the banner. Your image should be at least 1000 pixels wide so that there is plenty of room to shape a suitable banner from the picture. Once the entries are complete, everyone will get a chance to vote for their favorite items and pictures here on the team blog, from June 17th to June 28th. 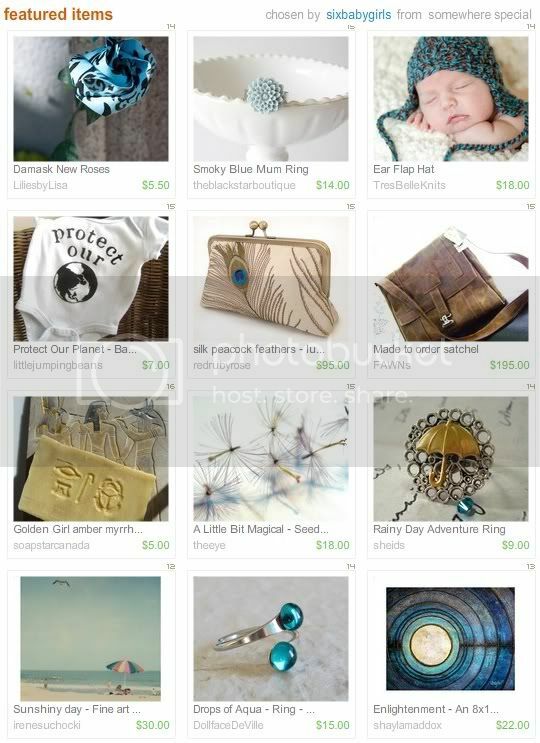 The items with the top 4 votes will be featured in the Oh Canada Team blog banner, and the shop’s Etsy Mini will be displayed in the sidebar. The banners and featured shops will rotate every 2 months. 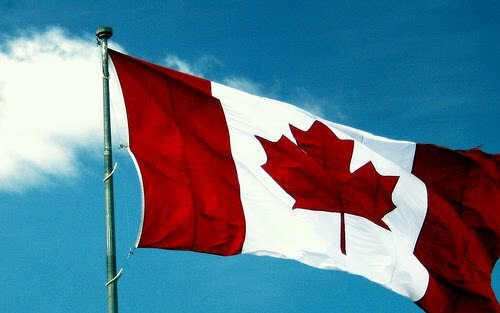 If you have any questions or comments about the Oh Canada Banner Contest, visit the threads in the team Flickr group discussion and Oh Canada Yahoo Forum where we can chat about the challenge. 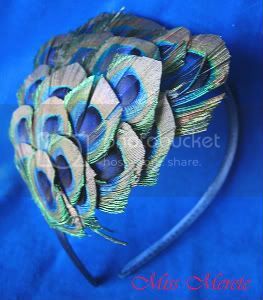 Wedding season is nearly upon us, and it’s a great reason for shopping. Whether you like to make it a girl’s day out, or surf shops in your pajamas with a cup of tea, shopping for the perfect favors and accessories is one of the best things about planning a wedding. 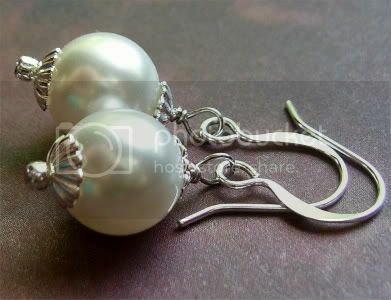 When it comes to having a sensational wedding day, one of a kind handmade pieces are sure to make a big impact. Today, the Oh Canada team shares some beautiful handmade must-haves. 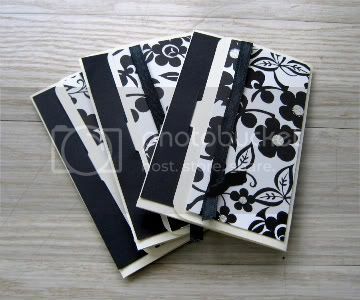 Whatever the occasion, the talented artists of the Oh Canada team are sure to have what you need! 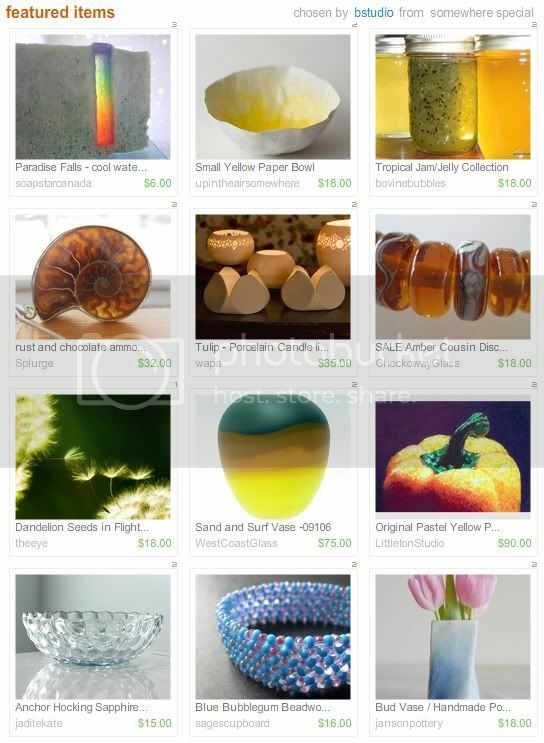 Add the phrase “OhCanadaTeam” to your searches on Etsy.com to see what we have to offer. The new Treasury East system may be all the rage, but there's still something alluring about making a list that has only a few days to dazzle. It's prestigious - being chosen for these hard to acquire treasury spots, and making it into the spotlight instead of the alternates list. 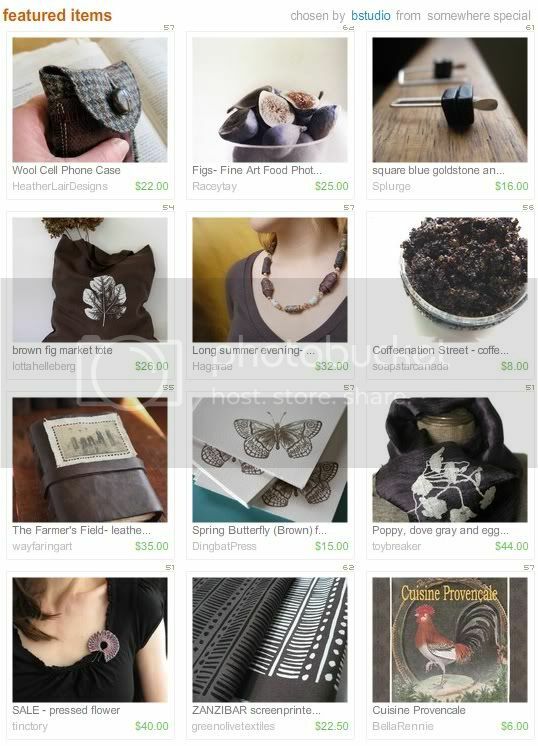 Congratulations also go out to team member Pour Toujours for being featured in the "Back With a Vengeance" Upcycled and Repurposed Etsy Finds. Originally uploaded by woolbrain knitter. 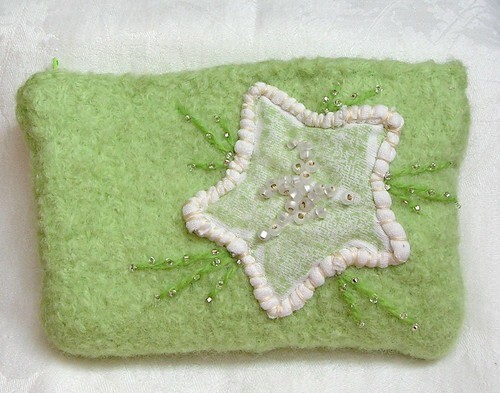 This week’s Oh Canada treasure is a charming Wish Purse in green and white. The tiny clutch has a jersey knit lining and zippered closure to keep all of your wishes and trinkets safe. 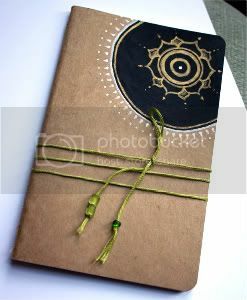 It comes complete with a wish card to write down your secret wish! 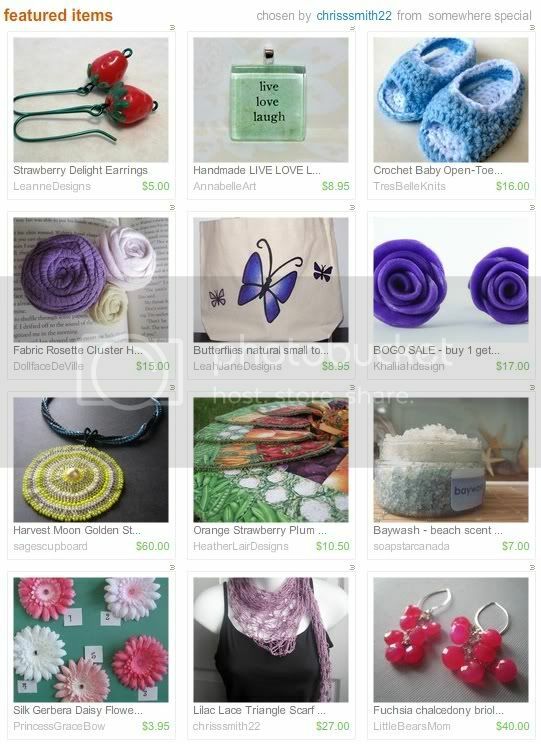 To find more creative, functional purses and accessories, visit Woolbrain on Etsy. 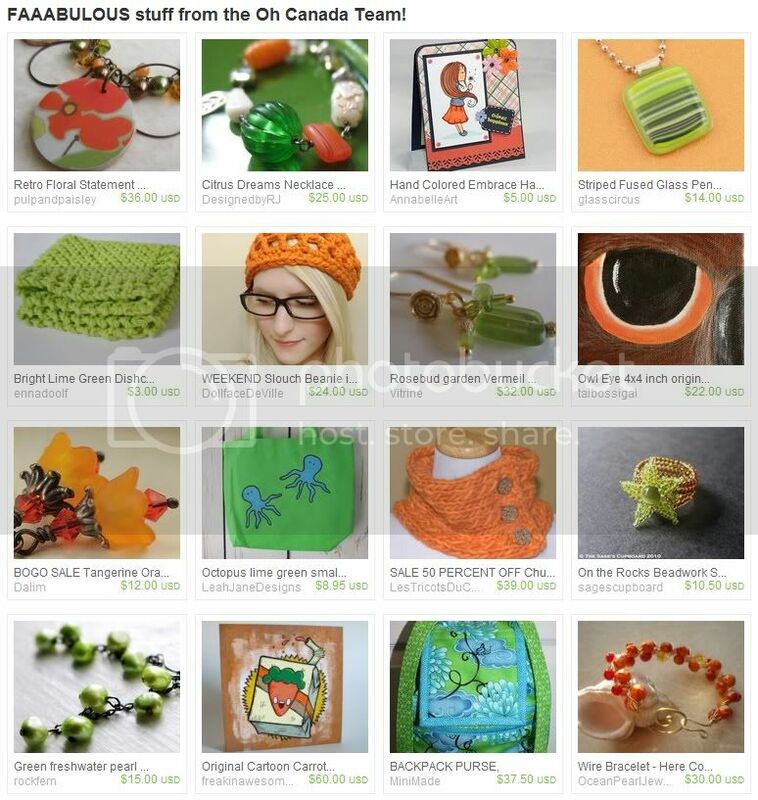 There are many colorful handmade designs perfect for summer! 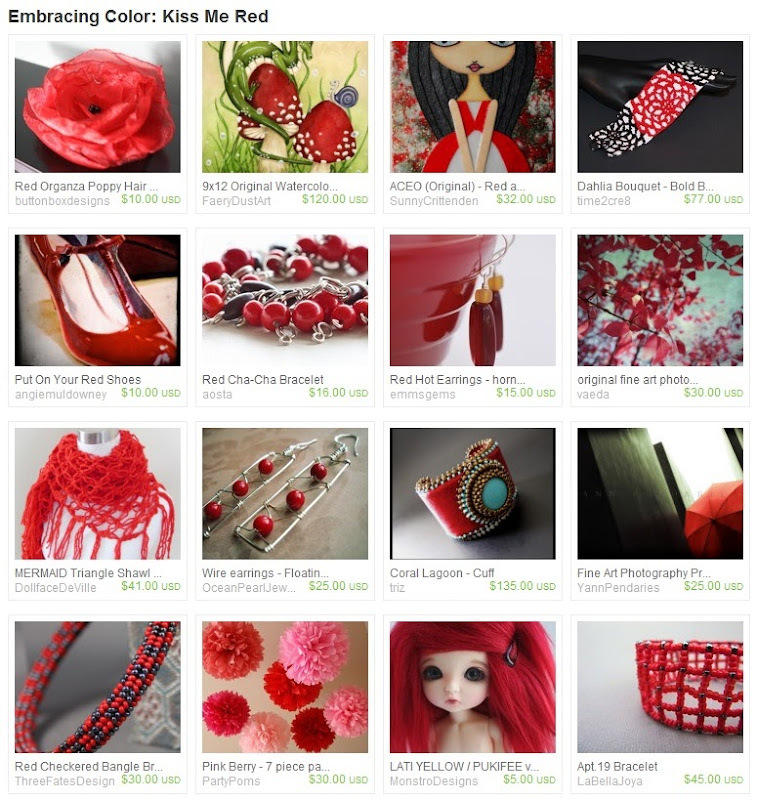 Many of our talented team members have also been finding their way into some gorgeous treasury lists this week. One of our new members, aosta of Blue Jeans Jewelry, shares two fun collections entitled Oh Canada! East to West by Vanti Designs features team members Chrissmith22 of The Art of Zen…Crochet and Liz-Anna’s on the Lake. 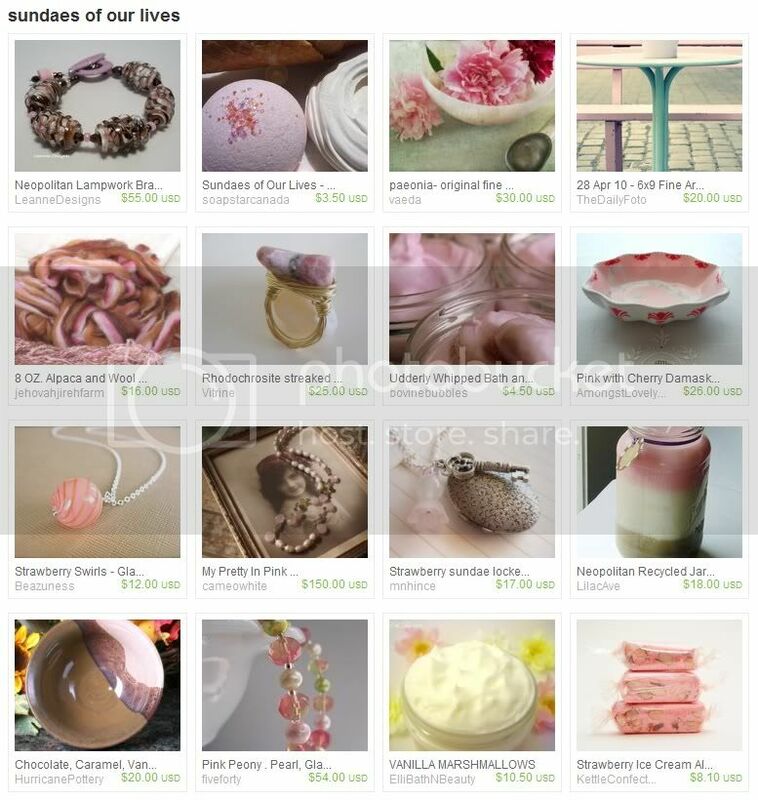 The Sundaes of Our Lives by soapstar features a handful of Oh Canada Team artists, and a host of pretty pink creations. 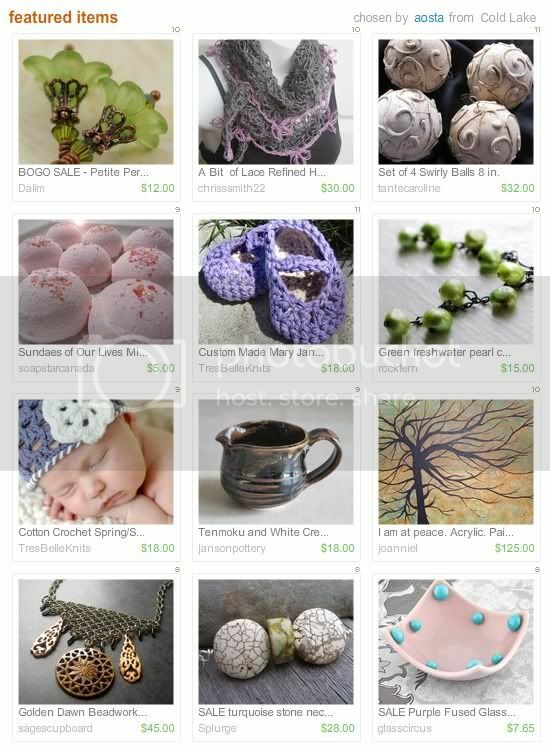 Dollface DeVille has created a wonderful treasury with members of 3 Etsy teams: When Worlds Collide.